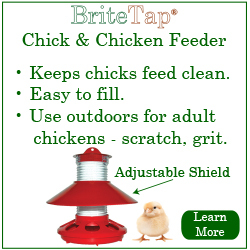 In our first installment of "How To Raise Baby Chicks" we covered the equipment you would need to start your flock. In this article, we cover some of the factors you should consider when selecting the specific breed or breeds for your family flock. 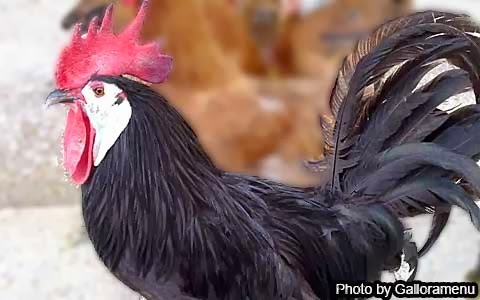 Good Overall Breeds: Rhode Island Red, Rhode Island White, ISA Brown, Wellsumer, Sussex, Plymouth Rock, Americauna, Araucana. These are docile breeds that are well adapted to temperate climates. They lay good number of eggs and the Americauna and Aracuana lay blue/green eggs. 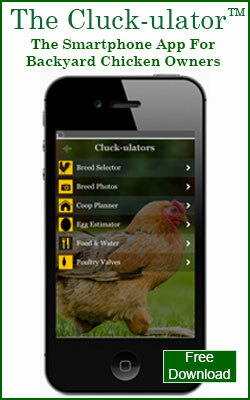 For Cold Climates: ISA Brown, Wyandotte, Australorp, Ameraucana, and Sussex. 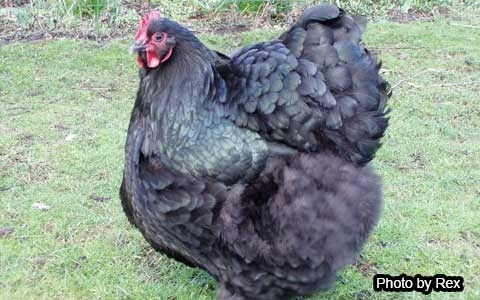 These are cold tolerant dual purpose breeds that lay good amounts of eggs, are docile and not broody. For Hot Climates: Minorca - This breed is heat tolerant, lays good numbers of eggs and is not broody. They are flighty but we don't consider this a major issue for most owners. Free Breed Selector Tool - Below we cover various factors to consider, but we also want to let you know that we've created a free Breed Selector tool that you can use to help you find the right breed for your family. 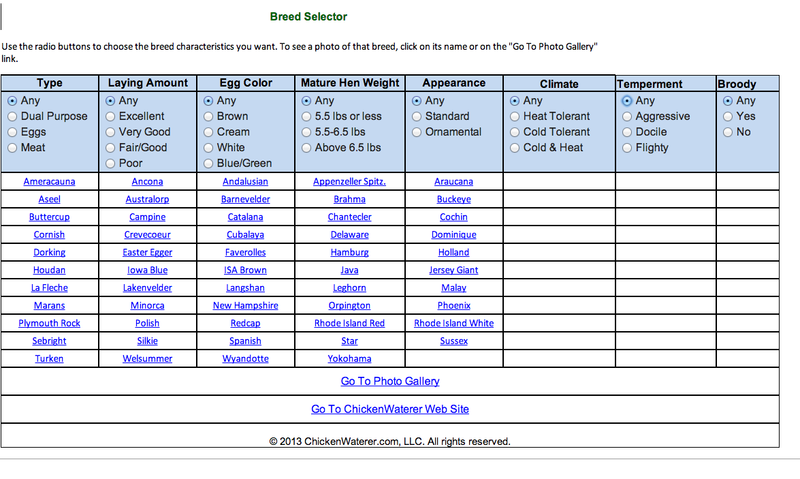 Just enter your desired criteria and the Breed Selector finds the right breeds. Climate Tolerance - We've listed this first because its the only selection factor on our list that is driven by factors outside of your personal preference. 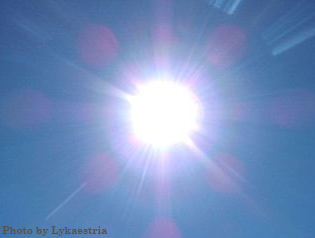 Heat Tolerant: Andalusian, Minorca, Polish, Spanish. Cold Tolerant: Australorp, Delaware, Holland. Heat & Cold Tolerant: Leghorn, Plymouth Rock, Rhode Island Red. If you are fortunate enough to live in a moderate climate, you don't really need to consider this climate tolerance. Your free to choose pretty much any breed you want. 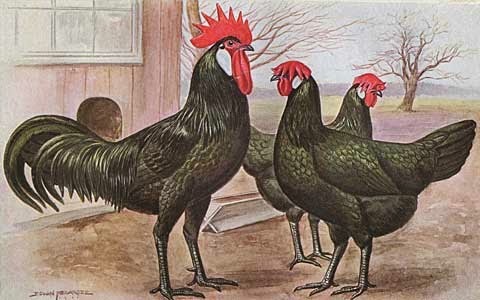 Breed Type - Breeds are divided into three broad classifications - Egg Layers, Meat Birds, and Dual Purpose chickens. Meat birds are ones that put on more muscle mass than others and tend to do so quickly. These are the breeds that are intended for slaughter. Egg layers are ones that are better at producing eggs than meat but they are not necessarily the highest the producers of eggs. Meat Breeds: Cornish, Cochin, Aseel. Egg Breeds: Ancona, Easter Egger, Leghorn. Dual Purpose: Ameraucana, Orpington, Rhode Island Red. 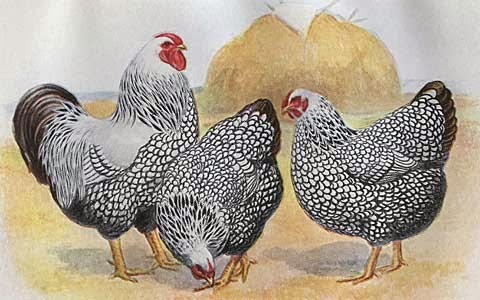 Laying Amount - Breeds such as the Yokohama and Cochin are truly lovely to look at but they are relatively poor egg layers. In their year of highest egg production, these breeds might lay as few as 60 eggs. 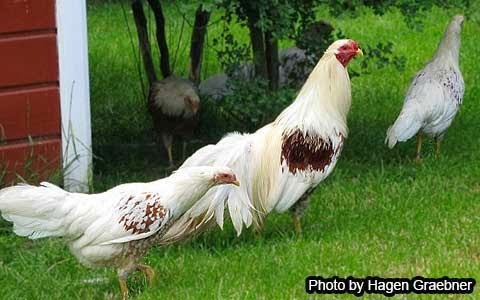 In contrast, champion egg laying breeds such as the Leghorn or ISA Brown can produce over 275 eggs. Most breeds will fall between these two extremes -- typically 175 eggs per year. 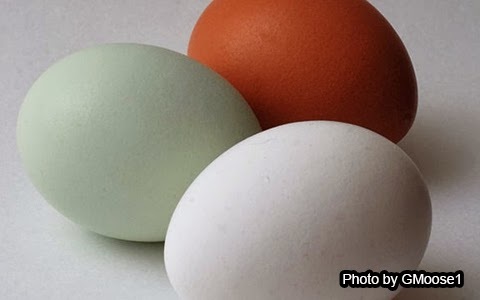 Egg Color - Eggs shells can be white, cream colored, brown, blue or green. The color of the shell doesn't impact the taste or the nutrition of the egg inside, but many owners really enjoy opening up the carton and finding a variety of colors inside. Very few breeds lay blue or green eggs. 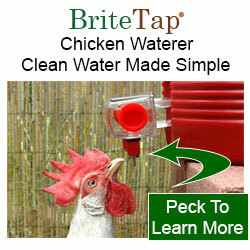 If this floats your boat, then the breeds you want are: Ameraucana, Araucana, and Easter Egger. Appearance - Beauty is in the eye of the beholder, but some breeds are consider to be more attractive -- usually because of unusual plumage. 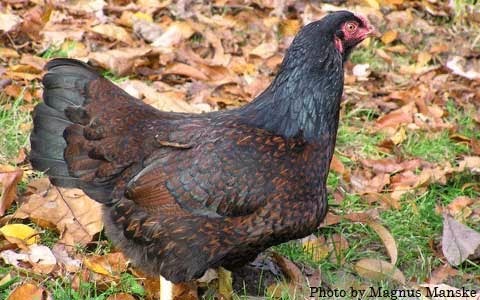 These ornamental breeds may not be the best layers but they can be a pleasure to see in your coop. 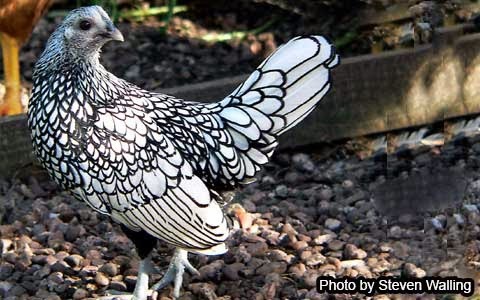 You might consider adding one or two ornamental birds to your flock to add interest. The Polish sports some amazing feathers on its head while the Cochin has them on its feet. The Spanish has white skin on it's face that resembles a clown etc. Temperament - Some breeds are known to be fairly aggressive (example: Iowa Blue, Cubalaya) and are not good breeds to place into a mixed flock. Some breeds are also relatively high strung and are better suited for quiet environments. 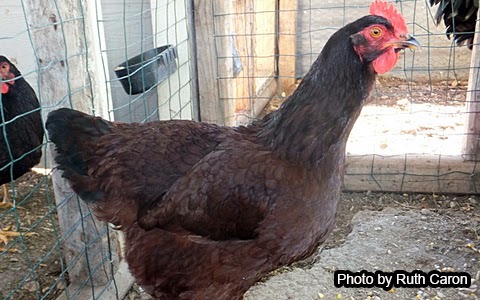 Chicken keepers refer to this temperament type as "flighty." Personally, I wouldn't drop a "flighty" breed from the list unless you have a very specific reason such as you want the bird to be a pet for a child or you live in an area with lots of noise, traffic or other disturbances. 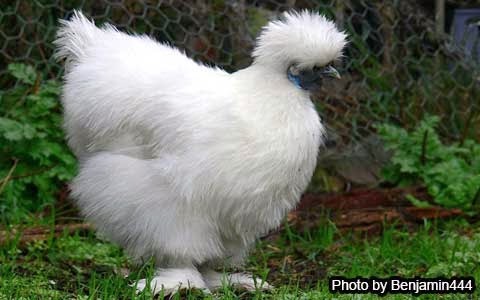 If so, consider getting a breed that's considered "docile"
Broody: Plymouth Rock, Silkie, Turken. Not Broody: Sebright, Easter Egger, Hamburg.